The shortlist for the 2018 Victorian Architecture Awards reveals the world beating quality of the state’s educational architecture. 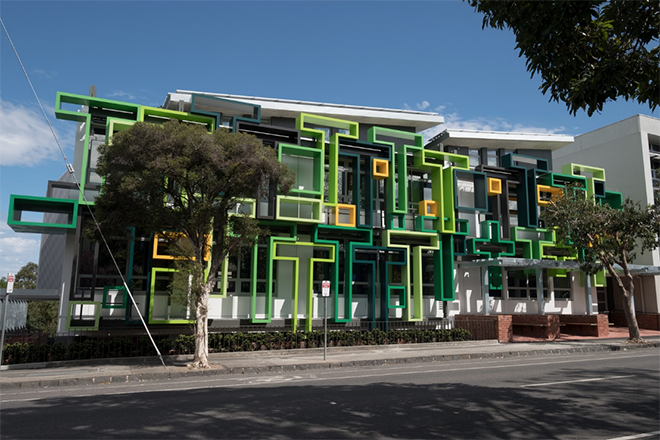 The awards program, organised by the Victorian Chapter of the Australian Institute of Architects, has shortlisted a total of 108 projects in 14 categories from a record number of entries, ranging from residential to public, commercial and educational architecture. Victorian Chapter President Amy Muir said that it was the importance of the public realm and the far-reaching contribution that architecture makes to daily life that were the most significant themes to emerge from this year’s shortlist. "Truly exceptional architecture has the power to improve how people experience life, both in their own private spaces and in the public realm," Muir said. "As reflected in this year’s awards, it’s been a significant year for architecture. In Victoria we have a rich and ingrained culture supporting strong and diverse architectural endeavours. It is always so encouraging to see architects continuing to challenge the status quo in order for our cities and communities to evolve. "This shortlist defines the many forms outstanding design can take, from projects that provide innovative educational spaces offering varying ways for students to learn and engage, to new housing typologies that create a platform for better community engagement. "The common denominator in successful projects is supportive and engaged clients who acknowledge the value that quality architecture interventions can bring to building strong and successful communities. "Carefully considered buildings, urban design interventions and infrastructure projects can take many years to procure. The awards program is an opportunity to celebrate the passionate and cohesive teams of architects, clients, consultants and builders who bring them to fruition," she said. In 2018 the Institute received a record 268 entries, a 20% increase on last year, making it the most hotly contested awards year to date. A mixed media exhibition of the 2018 entries will run from 22 May to 3 June at No Vacancy Gallery and will showcase four elements of architecture, including architecture in concept, architecture in construction, framed architecture and architecture in use. The winners of the 2018 Victorian Architecture Awards will be announced at the awards dinner on 29 June 2018. Winners of each category will then progress to compete in the National Architecture Awards program.